Peg box repair becomes necessary when there is peg box cracking or if not enough friction keeps a peg tight in the peg hole. This type of repair is very common with older instruments and uncommon with cellos, violins and violas that are newer. 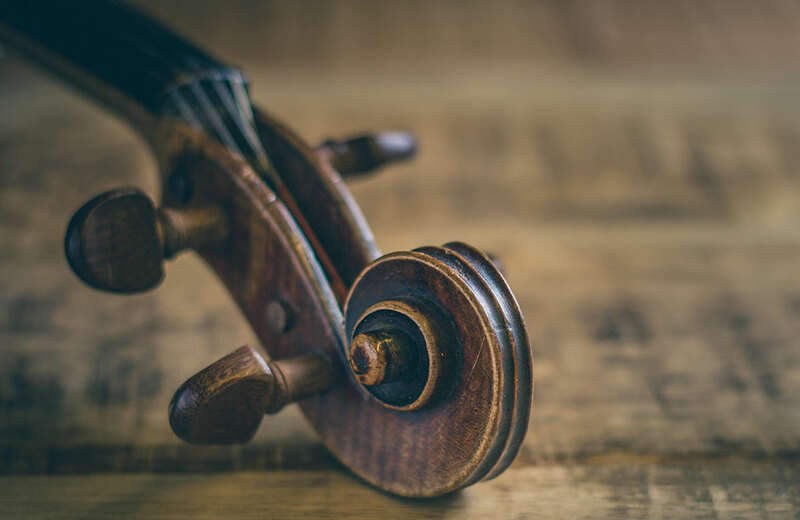 As varying temperature and humidity cause wood to fluctuate, the ebony of pegs and maple of the peg box expand and retract at different rates, causing the peg hole to wear out. The peg hole grows larger, and the sturdiness of the peg gets weaker. Over time the peg box erodes and may even crack from too much force being applied to the peg in attempts for it to stay in place. First, a peg bushing wood is selected of the same structural properties and with grains that match that of the peg box. A symmetrically round hole is drilled with precision to eliminate all cracks or wear, and the peg hole bushing is tested and shaped for seamless surface contact. Aligning the grains helps to disguise the bushing repair, and the old peg holes may be completely or partially filled. Next in the process are the coatings. First, a sealant is applied to the repaired area so that coloring won’t sink into the new wood. Next, a wood retouching mixture is added on, to match the original coloring given to the instrument. Then a varnish is applied, as well as texturing, to restore consistency to the peg box’s appearance. The peg box is then positioned and drilled. A tapered reamer is used for the right shaping and accurate slope. A tapered shaper then matches the pegs to the peg holes. They are adjusted lengthwise and domed at the end. The action of the pegs should now be smooth and controlled. 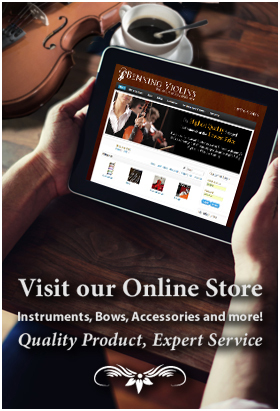 If your violin, viola or cello requires such repairs, research a violinmaker who offers this service, as some violin shops specialize in peg bushing while others do not. This is not a repair that should be performed by an amateur.